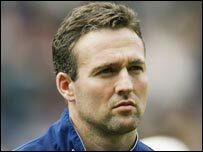 Wycombe Wanderers have appointed Paul Lambert as their new manager, following a second round of interviews. Lambert, 36, won 40 international caps for Scotland and played for Celtic and German side Borussia Dortmund where he won the Champions League. The Chairboys have been searching for a new boss since parting company with John Gorman last month and Lambert was the unanimous choice of the board. Gorman has since been appointed as manager of League One side Northampton. Coach Steve Brown who was taking charge of pre-season training will be staying on at the club. Managing director Steve Hayes told the club's website: "Although Paul is on holiday he has already spoken to Steve and the pair have discussed the set up of pre-season training. "Paul has biogs of the playing squad as well as the stats on every player and DVD action of them."